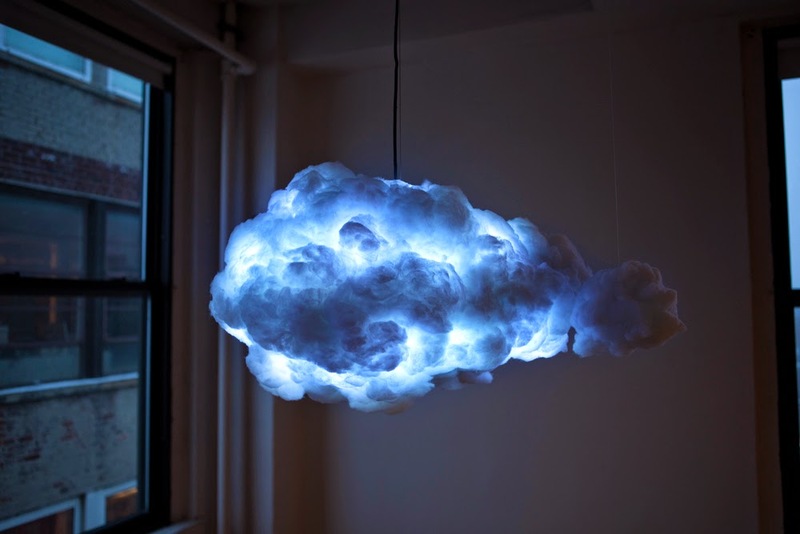 on Richard Clarkson’s interactive lamp and speaker, also called The Cloud! “The Cloud”, Online Image, 1 August 2014, Cloud + R.C. Today’s title is inspired by Chris Thile’s use of this recognized Monty Python quote, as Thile said it during a live performance, right before playing a cover the “Dead Leaves and the Dirty Ground” by the White Stripes — been stuck in my head since coming across it last week. Personal ear worms aside, the transitional sounding title is indeed pertinent and all-to-fitting, for what is here today: A pair of fascinating works that both interpret something from a non-auditory experience into audible and sonically varying results. what would their melodies sound like? If space weren’t devoid of air and incapable of sustaining sound waves, what would the activity happening around the planets in our solar system sound like? The answer to these contemplations reside in one audio visual robotic build and one round of NASA probe transmissions, titled the Cloud Piano and NASA Space Sounds, respectively. NASA’s Space Sounds, on the other hand, utilize no conventional instruments for a trickle-down musical representation. Rather, the the various probes responsible for recording and converting electromagnetic waves in space, around planets and so on, over to frequencies audible to humans, conveys a much more literal and direct display of what a non-sonic occurrence leaves in human ears if it becomes discernible within 20Hz-20kHz. The coincidentally ethereal and tonically-uneasy results of these wave conversions almost makes it feel as though a cosmic joke is being played on the human race. Perhaps these clips could become the standard for background sound in space exploration films, much akin to the Wilhelm Scream continuously applied to films since 1951 but with far more realism, given their actually real interpretation. While the answer to each question, provided in the form of these clips, might seem like a frivolous, non-necessity to functional living, seeing more and more exploration into the understanding, conversion and (occasional) artistic programming of these types of unconventional auditory avenues via non-music related projects, ushers in new, much needed, room for musical evolution. It’s no secret that every note has been played. Every lick, riff and hook has been done. Avant-garde is even getting to be a difficult label to genuinely take on, as the absence of more and more expected approaches to music leaves only the uncommon to expose, and, eventually, there will only be less first-time newness to that sector as well. NASA might not take up music in-between working to expand space exploration technologies but what these two endeavors have in common is a new, yet straightforward, look at two sources for musical inspiration, from things we have long had around us but have maybe taken for granted, in lieu of trying to intensely and or consciously to “do or be different” only in ways we perceive to be relevant for music. Maybe the next new movement in music is going to come from not working with an objective for new at all. Maybe we have to truly look at everything we already have around us and see (and hear) what untapped vantage points have been thus far left unnoticed because they have existed, up to now, in a non-musical context.